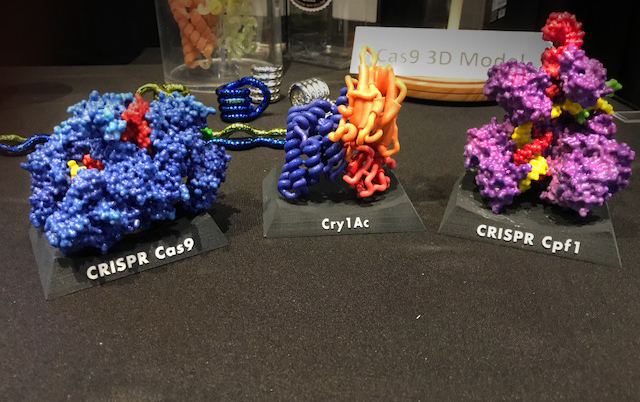 This is a 3D print of CRISPR-Cpf1 created in full-color sandstone. 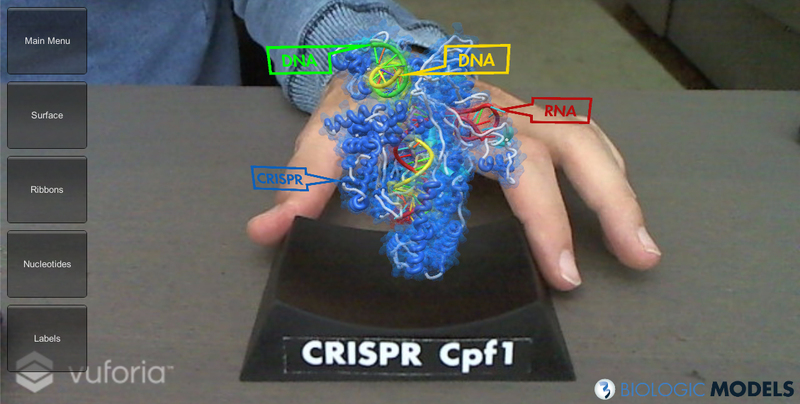 The model depicts CRISPR (blue) bound to its guide RNA (red) while editing its Target DNA (yellow and green). The subtle color variations in the CRISPR are associated with its atomic temperature. The darker the color, the less the protein moves with a cooler atomic temperature. 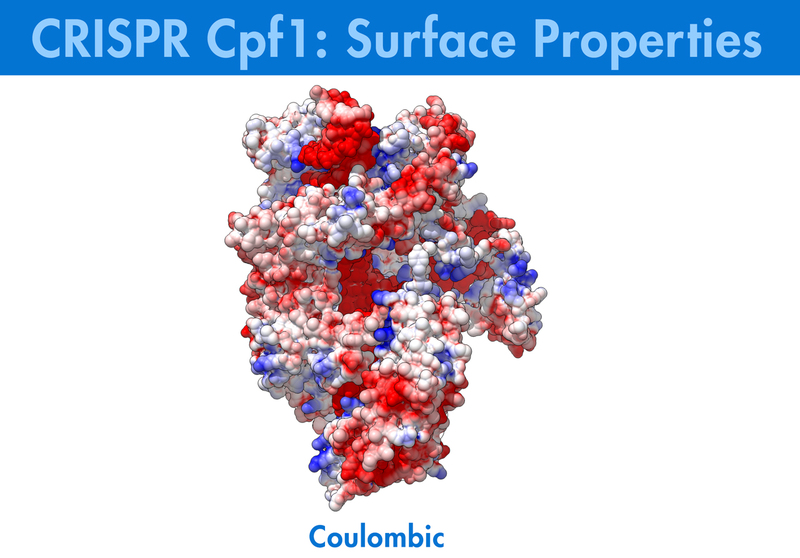 Consider purchasing an Augmented Reality base for your CRISPR-Cpf1 protein model. 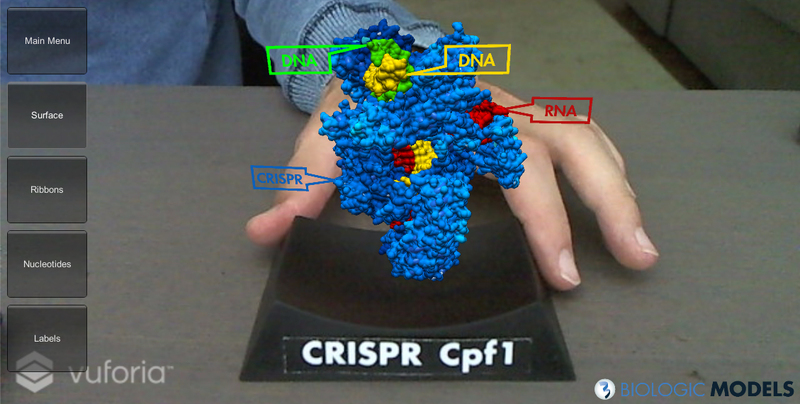 This is a 3D print of CRISPR Cpf1 created in full-color sandstone along with its Augmented Reality (AR) Base. 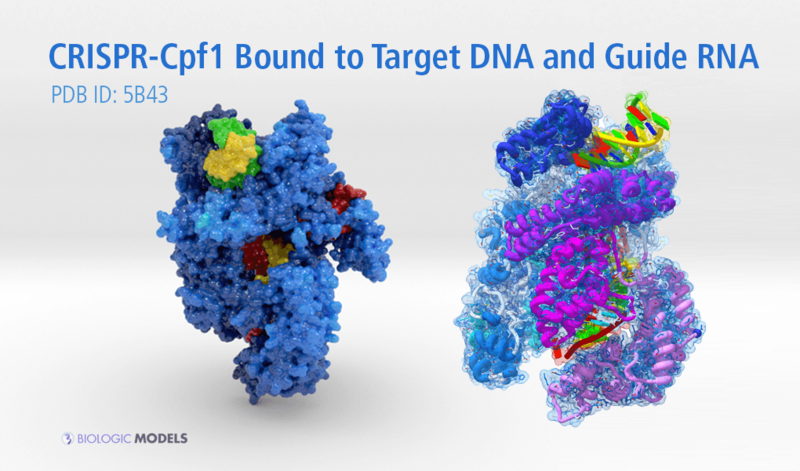 The model depicts CRISPR (blue) bound to its guide RNA (red) while editing its Target DNA (yellow and green). 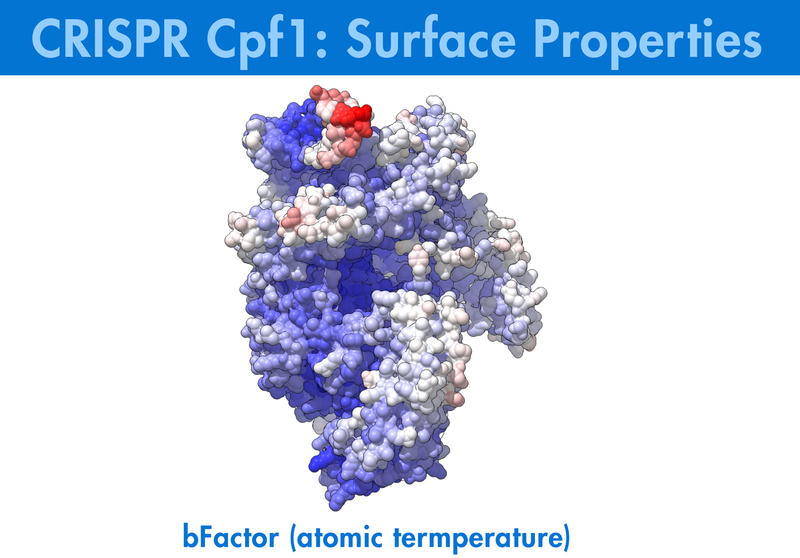 The subtle color variations in the CRISPR are associated with its bFactor, or atomic temperature. The darker the color, the less the protein moves with a cooler atomic temperature. Select from multiple sizes and material finishes. 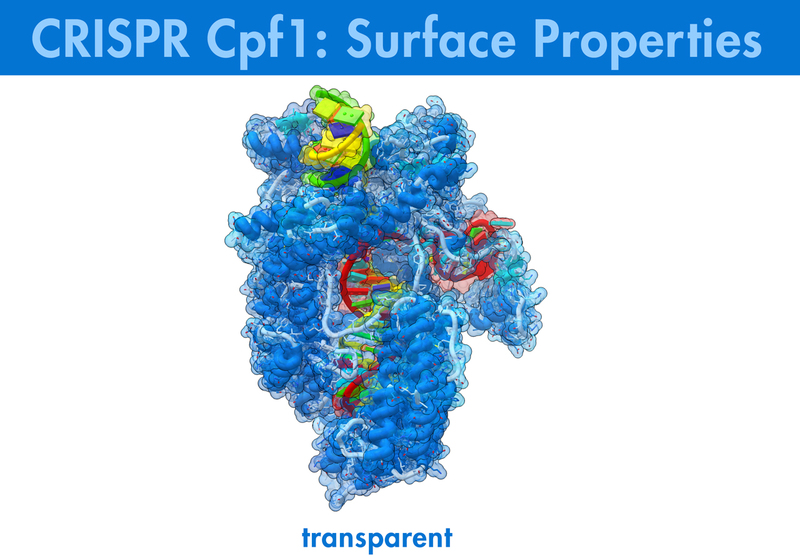 Consider purchasing an Augmented Reality base for your CRISPR Cpf1 protein model. 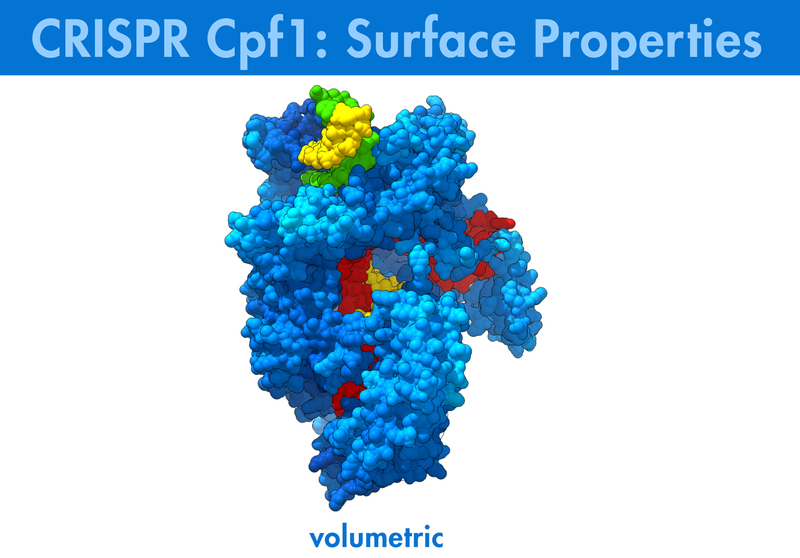 Download the free CRISPR Cpf1 Biologic Explorer App and explore the internal atomic structures of the protein. 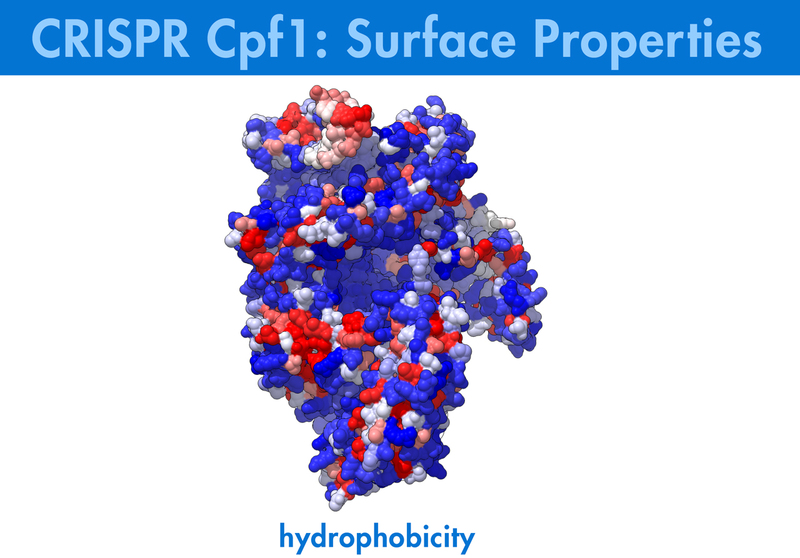 Launch the Biologic Explorer and point your phone at this QR Code or the nameplate on the CRISPR Cpf1 base to launch a digital model of CRISPR Cpf1. Toggle on and off different structures to reveal the hidden beauty of x-ray crystallography data. Click the links above to download either the iPhone or Android Apps.